I would love to know if it's possible. I am working with version 7, although I believe that the other computer where I am working has version 10. I know how to customize the menus that drop down from the top bar, as well as how to customize shortcuts. Although as yet, I haven't been able to find any info on customizing the shortcut menu that pops up when one right clicks whilst editing an audio track. I appreciate your assistance with getting to the bottom of this mystery! Thank you. Replied by DoctorZen on topic Is it possible to customize the shortcut/ right-click pop-up menu in Sony Sound Forge? 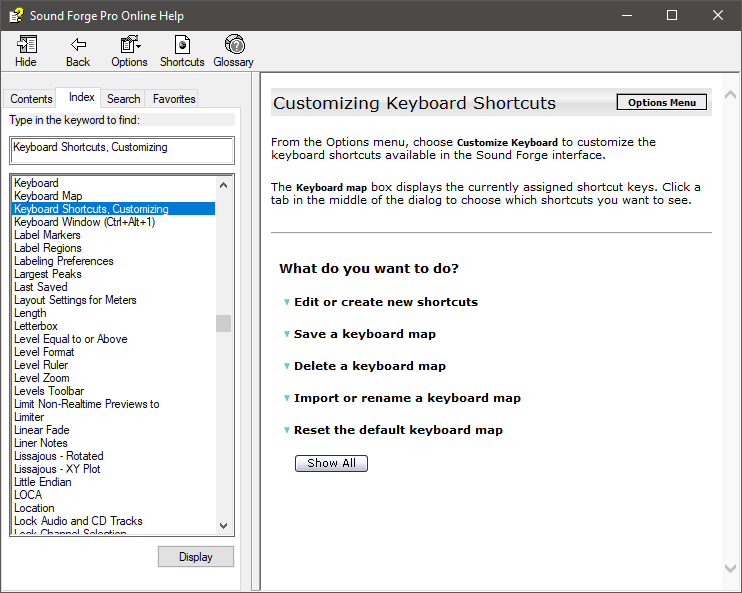 No you cannot customize the right-click menu in Sound Forge. 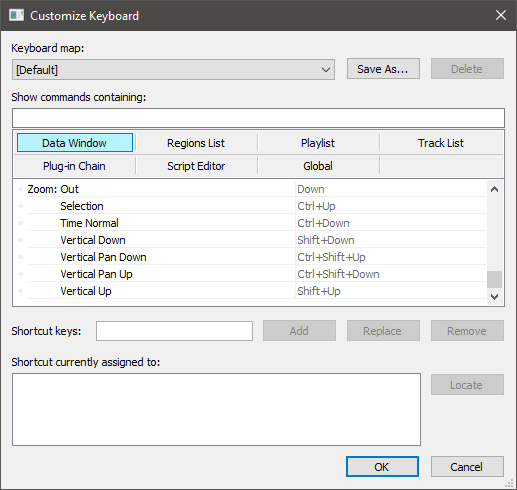 Besides customizing the Toobars in Sound Forge, you can create your own Keyboard Shortcuts. In the Index tab, search "keyboard"
Replied by Angel on topic Is it possible to customize the shortcut/ right-click pop-up menu in Sony Sound Forge? Thank you for your response, Derek! I appreciate your taking the time. It's good to know that it can't be done, so now I will probably put some of the frequently used tools/ options on a bar on the screen to eliminate the need for going into the menu to select them each time. This would be more efficient due to using the ball mouse.